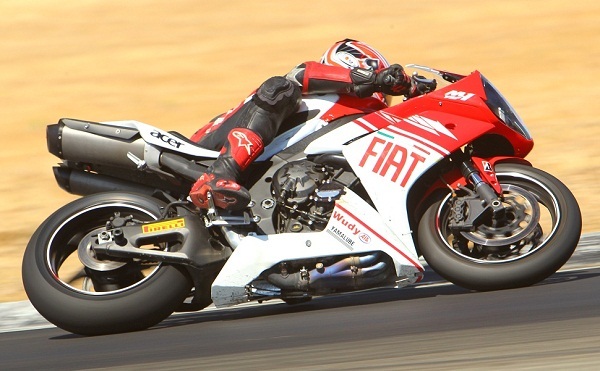 By this installment in the Body Positioning segment of Trackside Tips, we've more or less worked our way down to what's left of the rider's body – the legs. It's relatively straight-forward when it comes to feet positioning on the pegs – as with everything else, make sure you are comfortable, and that you are able to secure yourself onto your bike without reluctance and with total confidence that you ARE stable on your bike. The inside leg – the leg towards the corner – will vary in positioning depending on the rider's dimensions, with respect to applying the other principal techniques I have previously covered. Since no two people are alike, there really isn't a universal position for the inside foot, other than the universal truth that your inside leg positioning should allow you to place a good amount of your weight on it as you are hanging off your bike. Though your core anchors all of your weight, your inside leg distributes a good amount of this weight onto the bike. Though the outside leg does not see as much load as the inside leg through a corner, it is not without a purpose. The one thing you want to make sure you do with your outside leg is to use it as an anchor, so to speak – position your outside leg and feet so that it allows you to simultaneously push down on the peg, while pushing up against the tank. Do it properly and your outside leg will be hooked on to your bike, providing more support and security in your position on the bike while it is leaned over. When both your leg and feet positioning are properly applied, they become more effective in working in conjunction with your core to stabilize your body. Done in harmony, and there should be no weight on your arms while you are leaned over through a corner, allowing your arms the freedom to steer the motorcycle and operate the hand controls minutely. 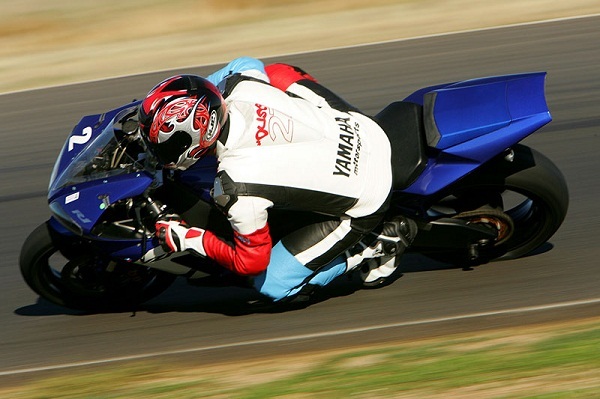 I won’t beat around the bush – you shouldn’t drag knee. Have you any idea how expensive knee pucks are?? 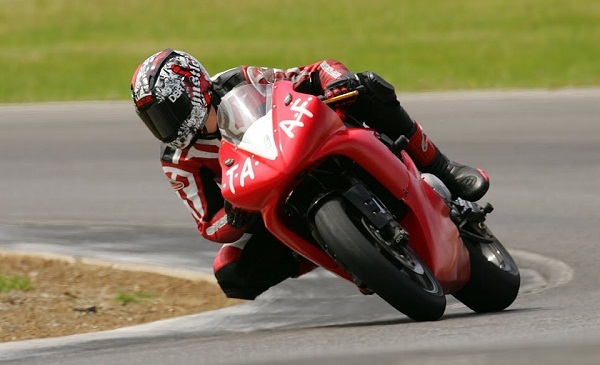 Ok, seriously, even if you don’t mind dropping a few tens for a fresh pair every other trackday, what I really meant to say was you shouldn’t try to drag knee. Dragging your knee should just happen. It should be a by-product of proper track riding and techniques, and while it can result from proper track riding, it is not the goal. 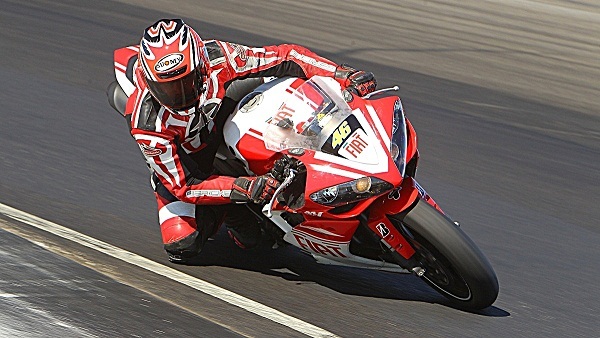 Virtually all riders just coming into sport and/or track riding immediately ask the question of “how can I get my knee down?” They look for an instant solution to a problem that isn’t one, then focus their efforts in an answer that may actually create problems; in pursuit of instant gratification, they eschew technique, which can result in improper riding habits that could take even longer to reverse. Don’t reach for the ground. Learn the ways to make the ground come to you.